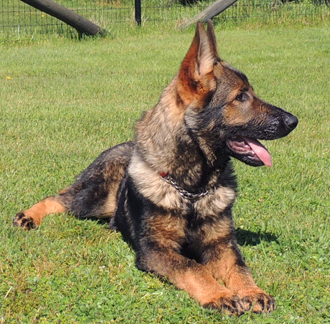 Drako is a beautiful, substantial young male with a nicely balanced temperament and confident nature. He possesses excellent substance of structure with huge bone and large DDR head type. 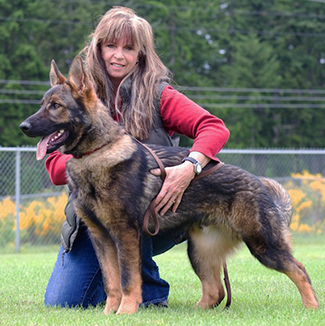 He is a richly pigmented black sable male with deep red highlights..
Drako's excellent producing sire is Pure East German DDR Stud Aron vom Poppitz. Aron is V Rated, Sch3, KKL1 for Life. 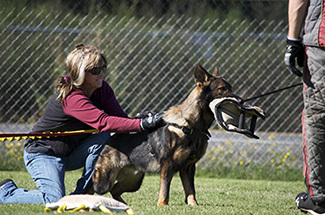 Imported from Germany and owned by Julie Marlow, Aron's pedigree is excellent working lineage of Pure DDR/ East German bloodlines. 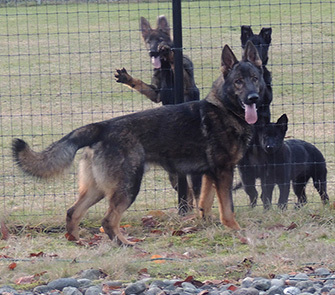 He is a large boned, substantial male with an excellent large blocky head, and possesses a deep, richly pigmented dark black sable coat which he has consistently passed along to his offspring. 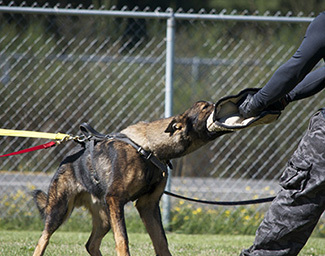 He is agreeable, willing and ready to work, demonstrating an excellent nose for SAR and tracking venues which he also passes along into his offspring. 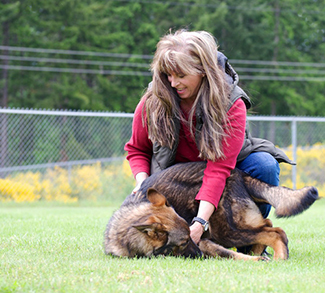 Aron is Pronounced in Protection..
Drako's dam, V Elfie vom Klödener Riss was Imported by our kennel from Germany. 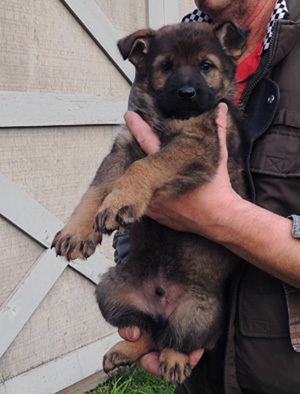 Elfie is a 100% DDR female, V Rated, Sch3 and KKL1 with excellent substance and V Rated correct working structure, along with a massive DDR head and dark pigment that is known to the DDR Dogs. Like his mother Elfie, Drako is a well proportioned male with extreme substance of bone and intense expression and confident nature. 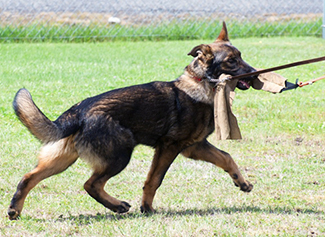 His overall expression, character, body and head type is super and is typical of what we strive for in our DDR dogs. 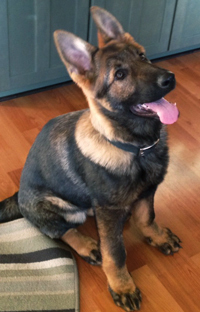 Drako's coat color is a rich dark mahogany black sable with excellent pigmentation. He has an outgoing and free temperament. and shows very good drive and intensity while working on the sleeve demonstrating a firm, deep grip. 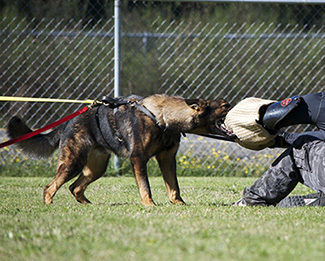 He has very good natural suspicion and protection instinct making this future sire an excellent choice for pups which will be suitable for Schutzhund, Excellent for tracking/trailing/SAR dog prospects, PSA and Police Work, personal protection as well as home/ family protection dogs..
Drako began his training at Schraderhaus K9 under the direction of our trainer and exhibited a strong, crushing grip even at a very young age. 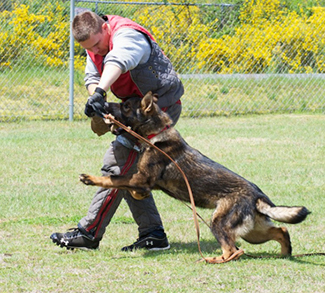 He is looking to get the bad guy, NOT the sleeve, and possesses the ability to fire up on command quickly, and means business showing very good civil when provoked. His temperament is exhuberant and strong and in bite developement he has strong deep grip particfularly for a very young male. 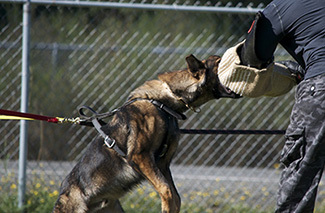 He exhibits a well balanced degree of confidence, showing pronounced hunt / ball drive, with an excellent nose for scenting work, making him a sire for producing working prospects for a variety of venues including SAR and excellent PD tracking and narcotics dogs, home and personal protection dogs, as well as IPO and Schutzhund sport prospects. 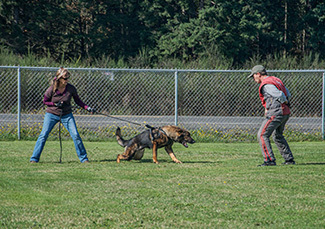 Drako was purchased by our friend and K9 Trainer for King and Pierce Counties in Washington State, Franz Tisch who trained Drako for tracking and bite work for use in the K9 department. 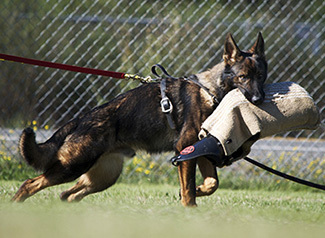 Our future breeding plans will be focused on producing pups in these working venues as we utilize this super nice quality young male and look forward to the future offspring he will contribute to our breeding program for Schraderhaus K9..